He undertook Fellowships in hand, wrist and upper limb surgery training at the Pulvertaft Hand Centre Derby in 2004-2005 and Centre for Hand and Upper Limb Surgery Wrightington Hospital, Lancashire in 2006. 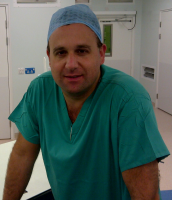 He was awarded the European Diploma in Hand Surgery best candidate 2005 and the Churchill Livingstone Medal. He was the Fellow of the Royal College of Surgeons Trauma and Orthopaedic Surgery 2006. His current NHS post is Consultant Orthopaedic, Hand & Upper Limb surgeon University College London Hospital. His private office is based at the Hospital of St John & St Elizabeth.